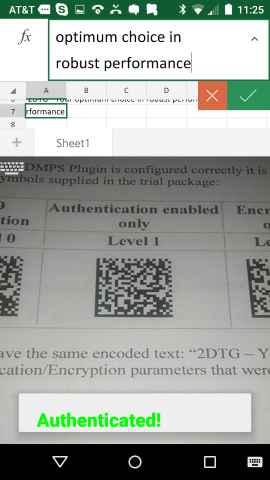 DMPS-Android includes Keyboard Wedge APP interfaced to DMPS Decoder, DMPS Reader APP to demonstrate software performance on mobile Android platforms and DMPS Decoder SDK (per customer request) – sample project and decoding libraries, for building your own application. 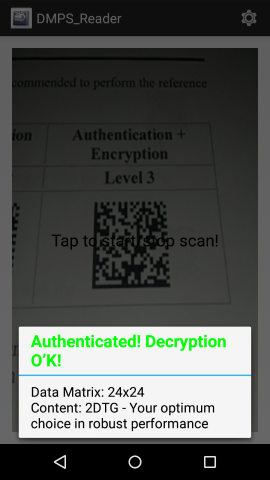 It also has DPM/Dot Peen capabilities extending its use to industrial applications. 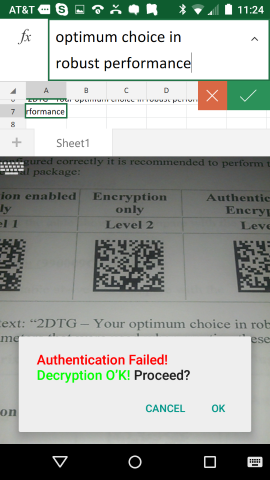 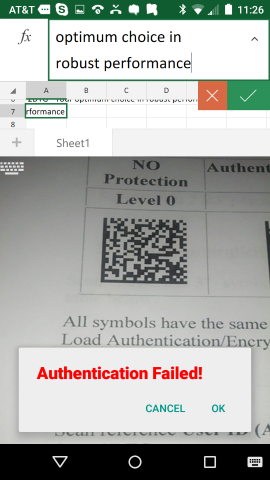 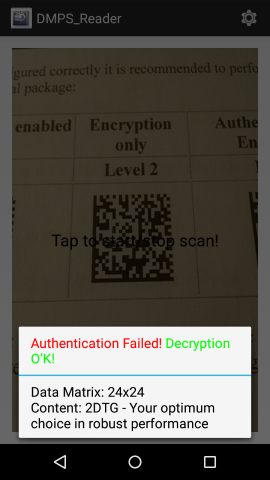 Data Matrix Security Encoding software (DMPS_E) and DMPS-Android - are required to start protecting your products/documents. 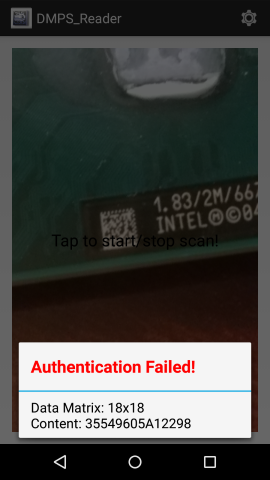 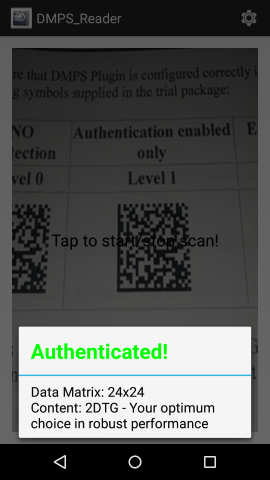 DMPS-Android comes with trial Authentication Key (User ID). 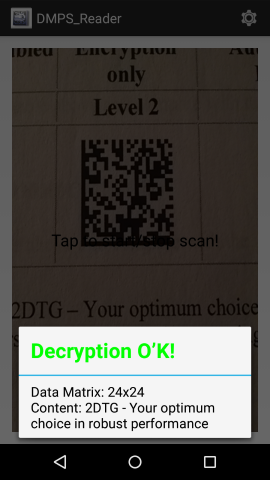 OEM customers (optional): 2DTG can supply User ID Generator, so you can create different authentication keys for different customers or groups of customers, as you wish.